Book today and see why Revolution is fast becoming Ashfield’s number 1 choice for quality lessons. Not all driving lessons or instructors are the same. Our lessons are delivered by dedicated, skilled professional instructors who are focused on helping you achieve your goal of passing your test. 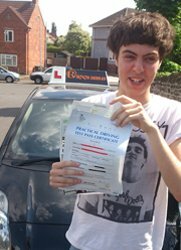 We use a proven method of teaching that ensures you have a better chance of passing your practical driving test first time. Getting YOU on the road to where YOU want to be. Book regular weekly lessons, 1 or more hours each week at a time to suit you. 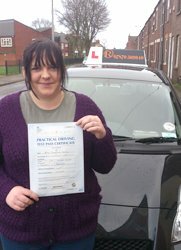 If you would like to get your driving licence quickly then why not book one of our pass courses. These courses are excellent value and include a number of hours of driving tuition, access to comprehensive theory test resources, a theory test and practical driving test. We also provide access to a range of comprehensive theory test resources and can help with any questions. 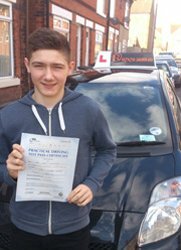 If you are looking for driving lessons in Sutton in Ashfield or Kirkby in Ashfield and more importantly you want to pass your test call today see what makes our lessons different and why so many people choose us.